High-class country living close to town. We are proud to offer this rare opportunity to own a spacious, luxurious home on 174 beautiful, productive acres, overflowing with potential. Located just 15 minutes from Valdosta in Lake Park, GA, 3 miles from the Florida State Line, and 5 miles from downtown Lake Park and I-75 for dining, shopping, groceries and more, this amazing farm has everything you could want in a country estate, from fenced pasture, to planted pine, to an 10-acre fishing lake stocked with monster bass, catfish and bream. So many possibilities. The 174 acres is made up of approx. 60 acres of pasture (mostly in coastal Bermuda, 17 acres fenced), 10-acre stocked fishing lake with dock, 19 acres of mature planted pine, with the balance in natural hardwood and pine areas left as wildlife habitat for the property's strong deer and turkey populations. The property makes for an ideal cattle operation, horse farm, or any other agricultural use. Hunting and fishing opportunities are plentiful, or just sit on the back porch and watch the wildlife come out to the pond while the sun sets. The current owners enjoy riding their dirt bikes around the property, and have even constructed a track in one of the fields. 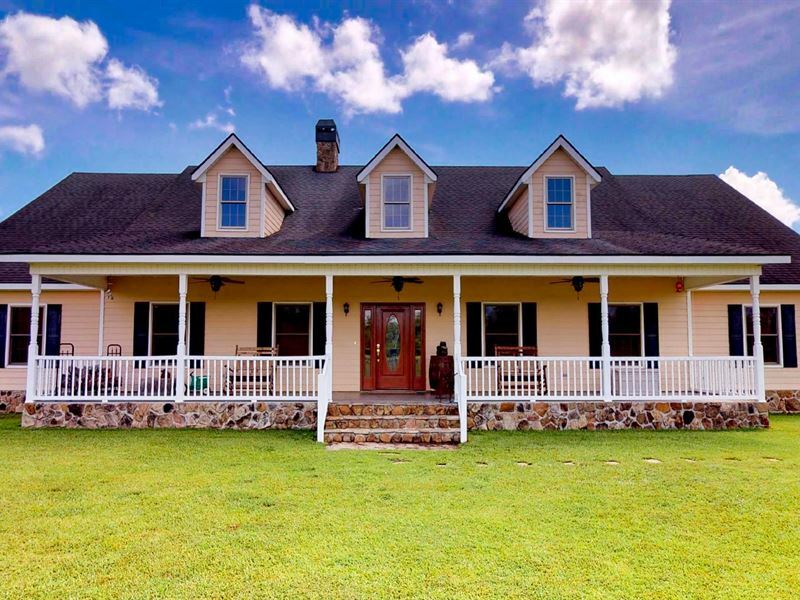 The property boasts a two-story farmhouse with 5,020 sq. ft. with 5 bedrooms 3.5 baths with game room constructed and featured to an exceptional level of quality. Vaulted ceilings, stone fireplace with built-in wood stove insert, updated appliances, sunroom overlooking the pond, whole-house vacuum, cypress molding and tongue-in-groove ceilings/walls, tons of closet space, game room, craft room and much more. The current owners truly spared no expense in building the place. Beside the house is a 3-car garage and attached “party room” - a large, conditioned dining hall/kitchen for entertaining, fish frys, family gatherings and more. Near the house is a large 2-bay metal building with additional covered space via attached lean-tos. Perfect for housing tractors, equipment, and as additional storage. The property has two wells, 5 AC units, and underground power lines. The large front and back yards are perfect for family games and outdoor social gatherings. 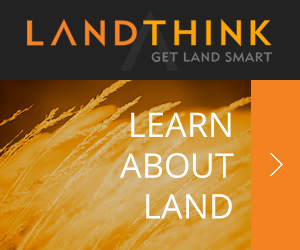 Don't miss the opportunity to own your own beautiful, productive, and high-class farm. Give us a call today to schedule your tour. Shown by appointment only to qualified buyers.